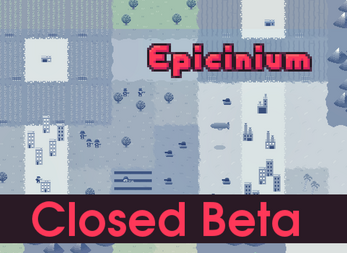 Epicinium is in Closed Beta. This means you need a key in order to play. If you don't already have a key, you're probably looking for Epicinium (Beta). I got a key! What now? You can download the game below for Windows, Mac or Linux. After registering an account and logging in, you will be prompted to enter a key. Just copy-paste the key into the input field, hit submit and you should be ready to go! If you participated in the Open Beta and already have an account, you can click the "Enter Key" button after logging in to show the key activation form. To learn how to play the game, you can play the in-game tutorial or watch the introduction video. We also have a wiki with an in-depth exposition of all the mechanics and units in the game. Because this page is not intended to be public, please refrain from sharing it. If you want to leave a comment or rate our game, please do so on our public page! Extract the archive somewhere on your system where you have full writing permissions (your Documents folder, for example). To start playing, double-click the "epicinium" executable in the folder where you extracted the archive. On Mac, you may need to right-click the executable and then click "Open", as otherwise you get an "unidentified developer" warning that you are unable to ignore. If that does not work for you, please consider installing Epicinium via the itch desktop app. We are also happy to assist you at support@epicinium.nl or in our Discord server.